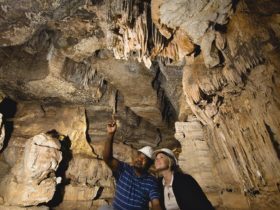 The ancient labyrinth of the Mimbi Caves holds many hidden secrets, not only of the Devonian Great Barrier Reef that was formed over 350 million years ago, but also of one of the oldest surviving cultures on Earth. 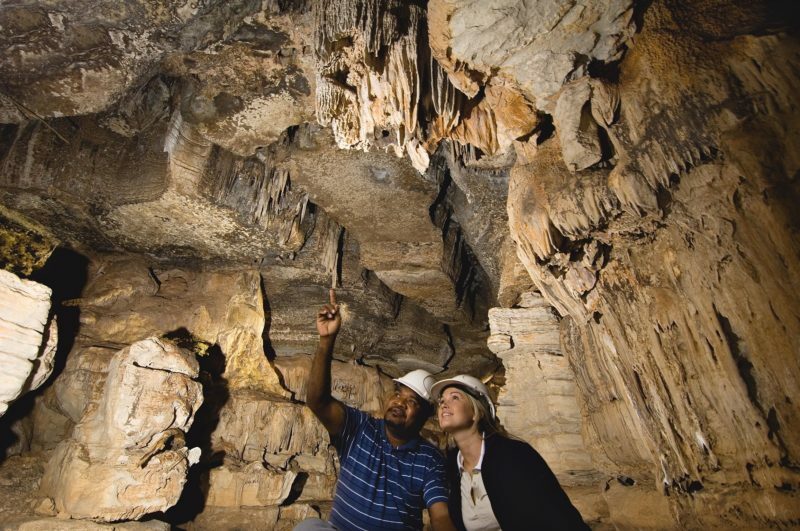 Amongst the striking limestone formations, you’ll see some of the best preserved fish fossils in the world, and an extensive collection of Aboriginal rock art. 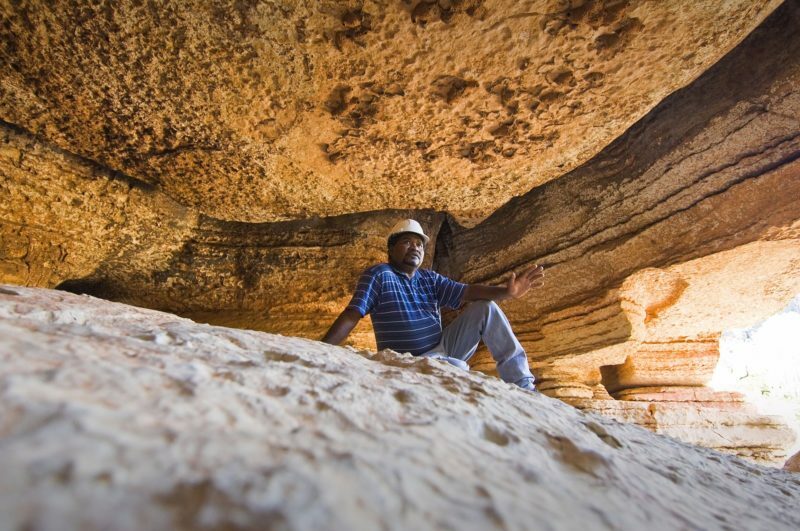 Make the 90-minute drive south-east of Fitzroy Crossing and join the Girloorloo guides on an insightful two and a half hour tour of Mimbi Caves, starting with a walk between towering karst cliffs, stopping to taste bush tucker and traditional medicines. 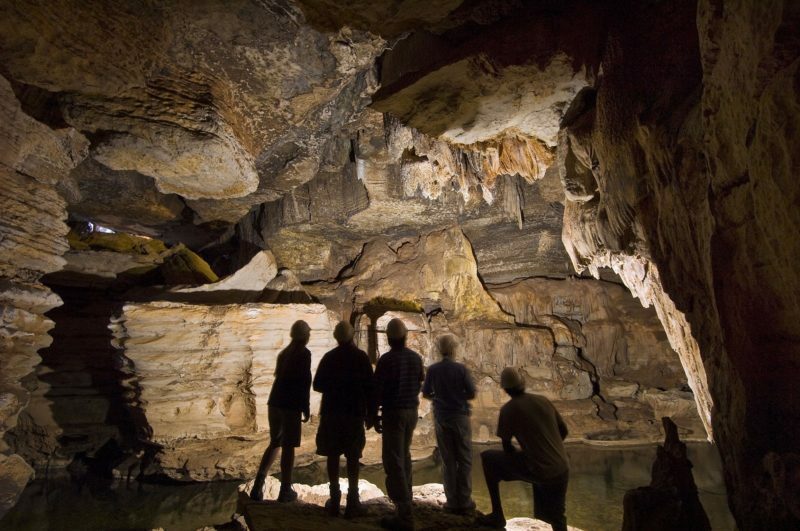 From the cave entrance, the Gooniyandi people will guide you by torchlight, revealing the speleothems, stalagmites, shawls, flowstones and sparkling calcite crystals, rock art and Dreamtime stories of this extraordinary subterranean world.